Arsene Wenger celebrated another landmark night in his garlanded Premier League career as an Alexis Sanchez double inspired his Arsenal charges to a pulsating 3-2 win at Crystal Palace. 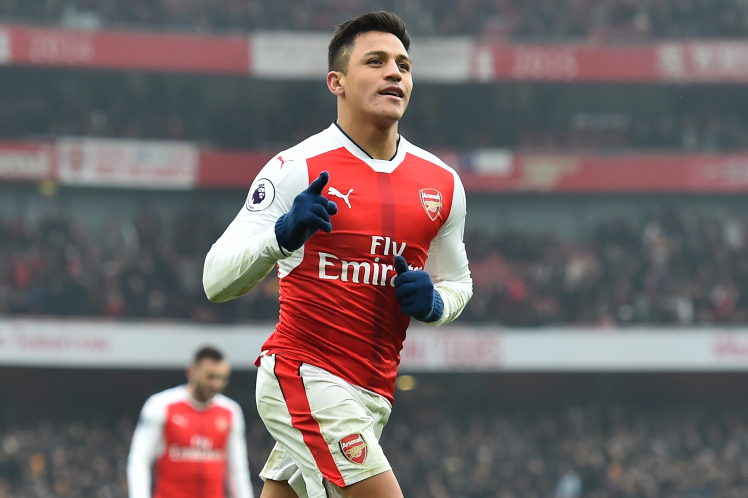 On the night he equalled former Manchester United coach Alex Ferguson’s record of overseeing 810 Premier League games, Wenger watched the brilliant Sanchez turn an exciting match with two superb second-half goals in the space of four minutes. Shkodran Mustafi had given the dominant visitors a deserved lead after 25 minutes but Arsenal were made to rue a host of first-half near-misses as Palace roared back soon after the break with a well-worked Andros Townsend goal. Then Sanchez scored his first goal with a thunderous 62nd minute snap shot and then a lovely piece of control and fine finish from Jack Wilshere’s long, precise through ball. James Tomkins made it two for Palace late in the game but it was not enough to deny the visitors a win. Arsenal remained in the sixth place but they moved on to 37 points, alongside Tottenham Hotspur and to within a point of the top four. Palace, beaten for the first time in nine games, are 16th on 18 points, just a point above the relegation zone.